I have a contour object, and I would like to delete a part of it (a line). So I converted the object to a path, selected the Edit paths by nodes tool and deleted the unwanted nodes, now I have the contour but I'm still left with a bezier connecting the next two nodes. 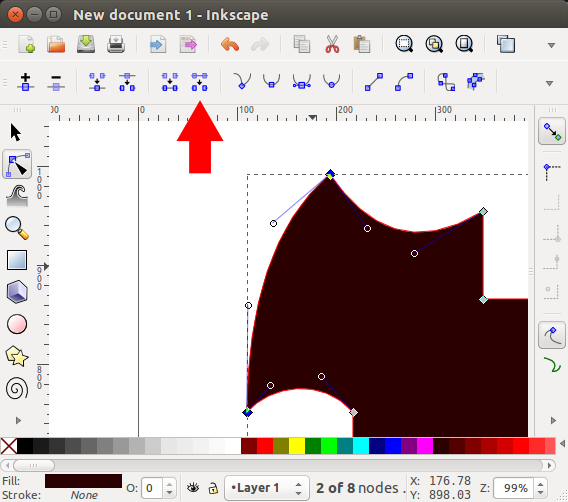 I tried to delete that connection, but when I select it and delete it, Inkscape does not delete the line, but the nodes at both ends, which I didn't want. How do I delete the line but keep the open contour? (So far it is a closed contour). Background: this object is a county, it is a map in general. I would like to keep all data inside the object except the lines which shows the borders of the county. You need to use the "delete segment" button. Not the answer you're looking for? 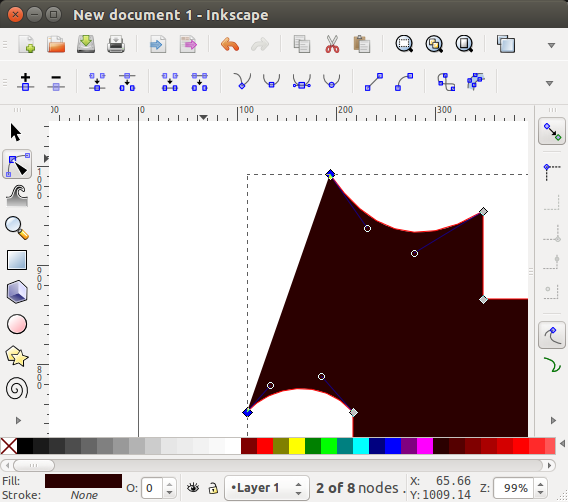 Browse other questions tagged inkscape shapes path tools or ask your own question. How to align an object relative to nodes of another object in Inkscape? How can I delete part of an object in Inkscape?